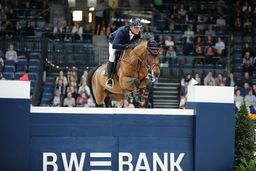 Stuttgart – “First things first, I need a Weizen beer.” And Andy Witzemann, the old and new indoor champion, was promptly served one at the press conference by Jörg Klopfer, the spokesman of the in.Stuttgart Veranstaltungsgesellschaft. 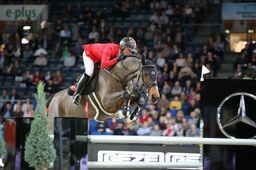 Stuttgart – The Swiss Pius Schwizer claimed the opening class of Thursday’s evening session at the 34th International STUTTGART GERMAN MASTERS Horse Show. 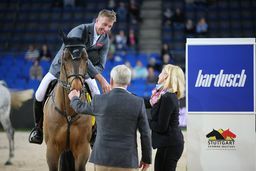 Stuttgart – The 49-year old 2014 team world champion and 2015 team European champion, Jur Vrieling today won the 34th International STUTTGART GERMAN MASTERS Horse Show’s opening international jumping class for the Prize of the Bardusch GmbH & Co. KG Textil-Mietdienste. 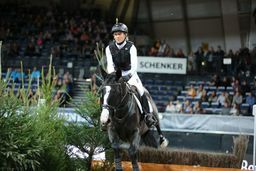 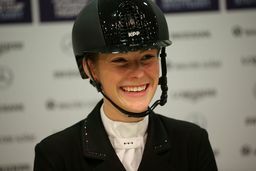 Stuttgart – Ingrid Klimke (Germany), the World Championships bronze medallist, has won the eventing Indoor Derby in Stuttgart’s Hanns-Martin-Schleyer-Halle for the second time since 2012. 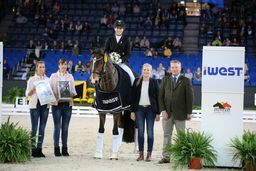 Stuttgart – Anna-Louisa Fuchs, Victoria Hoffmeister and Tobias Schwarz were the first winners on Wednesday afternoon at the 34th International STUTTGART GERMAN MASTERS Horse Show in the Hanns-Martin-Schleyer-Halle.